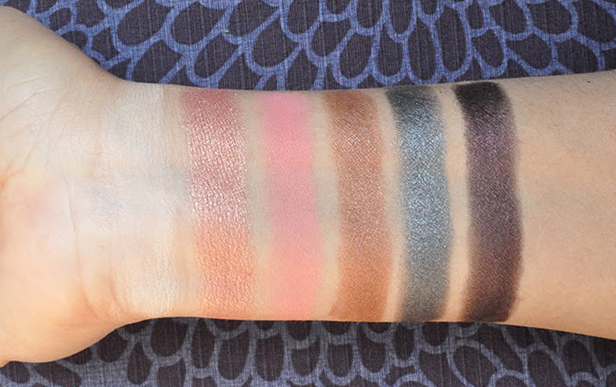 Sleek's i-divine eyeshadow palette in Oh So Special offers a whole lot a something for everyone! The Oh So Special palette comes with 12 eyeshadows, 5 shimmery/metallic and 7 matte shades. Organza: a metallic pinkish gold and one of my favorite shade's in this palette. Ribbon: a matte coral pink. Besides using this shade on the eyes, I've already used ribbon as a blush as well. Very pretty! Gift Basket: a lovely metallic brown bronze shade. Glitz: a metallic blue tone gunmetal. Pamper: a medium toned matte peachy pink. The Mail: a matte light camel color. Great transition shade. Boxed: a deep chocolate brown. An outer V shade. Wrapped Up: a midtone purple with brown undertones. Noir: is just that, a true matte black. Whether you're going for a subtle or dramatic look, Sleek's Oh So Special will help you achieve these looks and more. Lately the days have been gray, so it's tough to get descent lighting :'( but here are some photos of me playing with some of the colors in the palette. Mac studio sculpt in nw25 on the lid as a base. Bow (first on the left in the top row) brow bone highlight. Gateau (second from the left in the bottom row) all over the eye lid. The Mail (third from the left in the bottom row) in the crease. 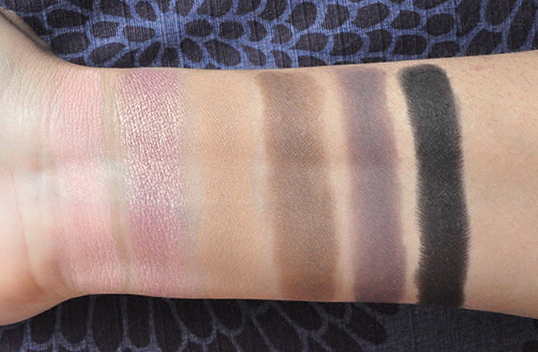 Celebrate (First shade on your right in the top row) Outer V blended into the crease. Wrapped Up (Second shade to your right in the bottom row) lower lash line. Sleek palettes usually retail for $10.50 but Oh So Special is priced at $12.60...not sure of the reasons for the price increase for this palette. I have contacted sleek and I am still waiting for a reply. I would love to know if you have tired and Sleek products!